Wha t a wonderful few weeks it’s been. Not only does Spring seemed to have arrived early with warm weather and lighter evenings, but I have been painting various murals on the walls of one of the rooms at Freshwater Bay House, Isle of Wight. With family holidays on the agenda during the children’s school holidays, we wanted to make the room bright and vibrant with a little of the wow factor. It’s such a lovely spacious room, that I wasn’t able to fit half of the murals into one photo, so have settled for a sample in the one shown. 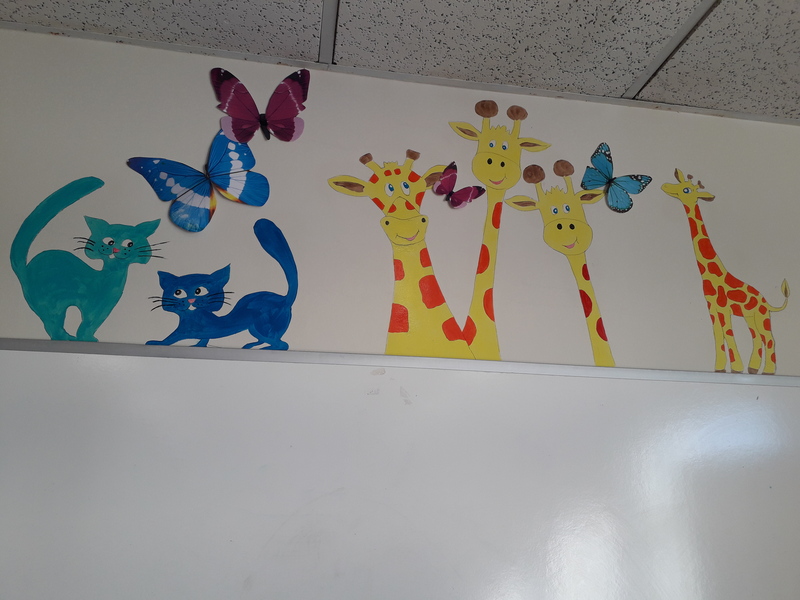 It’s been great fun to do and now we can’t wait to see the childrens’ faces when they walk in. It’s for the adults too – painting classes with walls filled with colour always helps with inspiration. Not only that, we are all children at heart!